The crisis in Somalia continues to worsen with millions of people at risk of dying from starvation. In addition to the current drought, two decades of war have left millions of Somalis without a home, job, shelter, food or access to basic medical needs. The situation has escalated this past year with the terrorist organization Al-Shabaab gaining power, recently culminating with their merging with Al-Qaeda. It is a bad situation for all of East Africa but Somali refugees are experiencing the worse of it. They are trapped in refugee camps with no way out and no means of survival within the camps. Though the death toll continues to rise, it has been minimized through the help of both international and local aid organizations. 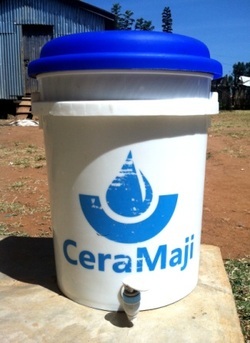 CGA recently shipped 500 CeraMaji water filters to refugee camps, an effort that will see tens of thousands of refugees have access to clean drinking water, thus preventing water-borne diseases. We have also sent thousands of kilograms of food supplies including maize and beans to feed refugees. Efforts are still underway and we are currently raising money to send more food supplies, hopefully within the next week. If you are interested in helping with this cause, please feel free to contact us or donate to the cause.